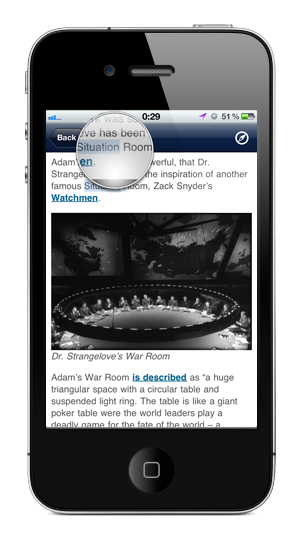 SitRoom is the expanded mobile-book of Situation Room including images, text and updates with the aim to expand the book content. A Situation Room is a secret room to monitor “intelligence” and real time data for decision making purposes, generally in a crisis situation. A new iconography to identify power came into being in the 1950s. Darkened rooms sealed off to the outside world, full of screens showing all kinds of data, inhabited by analysts who filtered and interpreted the incoming stream of information in real time. A huge map of the world full of blinking lights almost always dominated the scene. These were the new “control rooms” or “situation rooms”. 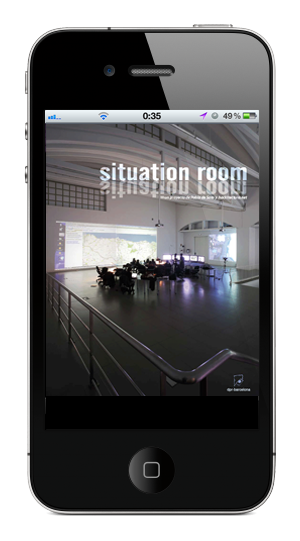 The Situation Rooms that began appearing after the second world war –the first conflict in which data interception became a key battlefront– have now become the command bridges for military, economic and political structures. Situation Room, the project by Pablo de Soto and hackitectura, set up a situation room for civil society at LABoral Art and Industrial Creation Centre in Gijón. The installation includes the full array of props pertaining to this form of architecture –computers at a huge circular table, projections, control panels– and systems designed to monitor a specific territory and its situation in the global context. -The Book: The contents of the printed book atomized in brief capsules. -Workshops: Gallery with images from the Workshops. 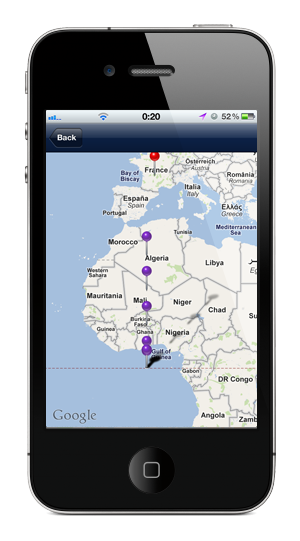 -Sit Rooms: Pics from famous Situation Rooms updated and geo-located worldwide. -The blog: Contents from the Blog by hackitectura. 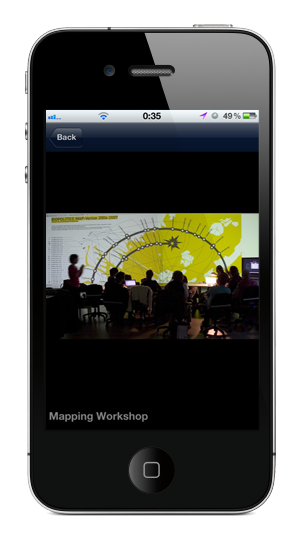 -Tweet Room: Social network conversation around the book. -Coded Message: You can send us a message!... any unknown Situation Room?